A show featuring acrobatics, dancers, singers, music, and synchronized horses, Odysseo Cavalia opened in Mississauga on Wednesday, June 21, 2017. The show has been running since its premier in Laval, Québec in 2011, and has toured all over North America. 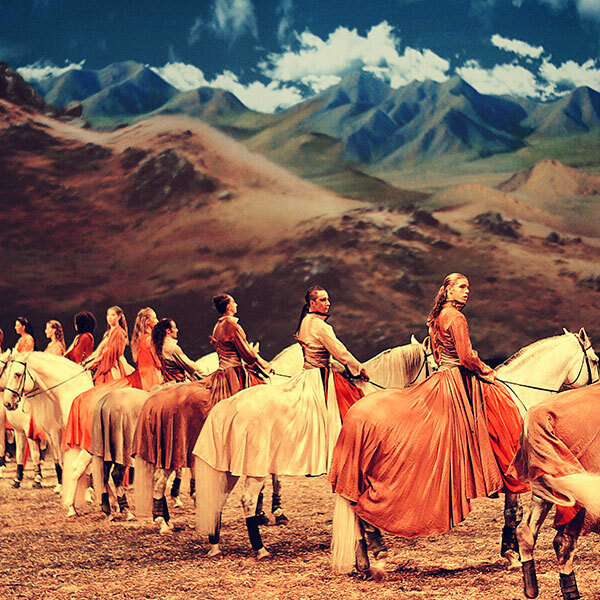 The performance team consists of 65 horses and 50 artists – horse riders, acrobats, dancers, and singers – hailing from all different parts of the world, including the US, Canada, UK, France, Spain, Portugal, Germany, Brazil, South Africa, Guinea, Poland, Ukraine, and Russia. Performed in an enormous white circus top, Odysseo tells a story of the harmony that is humans and horse. The show depicts how horses have enabled man to travel the earth, bridge cultures, and expand mankind throughout history. Odysseo tells this story with a combination of beautiful theatric effects, synchronized horse-riding, and fantastic acrobatic stunts. According to horse groomer Megan Morris, he horses typically spend two thirds of their time performing and one third of their time “on vacation.” Shows last between six to eight weeks in one location, then pause for two to three weeks, during which the horses are “off.” During this off time, Morris tells Imprint that the horses run around, eat, sunbathe and roll in the mud. The opening show began with remarks from Director and President of Odysseo, Normand Latourelle. Latourelle’s speech included notes on the liberties and freedoms of Canadian citizens, on peace, on love, and on open arms. Over 800 Syrian refugees, many of whom are families with young children, were given tickets and attended the Mississauga premier. Ticket prices range from $50 to $240. The show is expected to last in Mississauga until the end of July.